CARSON CITY, Mich. (WOOD) — A former member of the Church at Carson City accused of spray-painting words like “cult” on property tied to the church has agreed to a plea deal. Anna Morris appeared in a Montcalm County Circuit Court Thursday morning where she pleaded guilty to malicious destruction of a building and malicious destruction of property. In turn, prosecutors dismissed another count of malicious destruction of a building. They also agreed to drop one of the other charges if Morris completes probation, which would leave her with only a misdemeanor conviction and no additional jail time. Police say Morris and her 14-year-old nephew spray-painted the church building, church van and some homes of church leaders. "I didn't write the words to be a threat to hurt anyone," Morris wrote in her confession. "I wanted them to think about how bad they hurt others and maybe they would know how wrong they are about the stuff they do and teach there." Other former church members told Target 8 they understood Morris's motives. 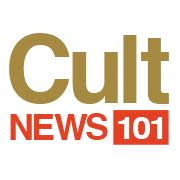 Some responded by calling the church a cult, accusing leaders of breaking up families and covering up sexual assaults over the last 40 years. A police report obtained by Target 8 show that leaders acknowledged that the church's late co-founder, Lee Sherman, molested children decades ago, and that it wasn't reported. But church leaders have denied other allegations.